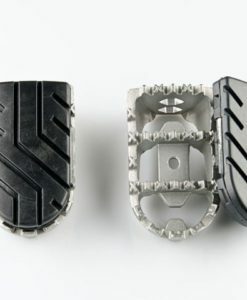 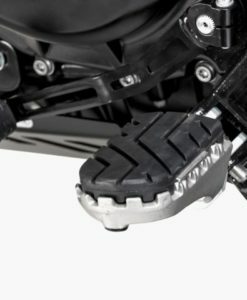 Your foot pegs represent two of the four main points of contact you have with your machine. 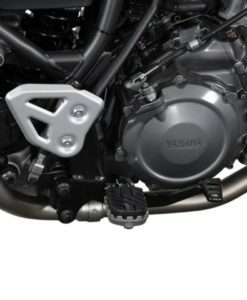 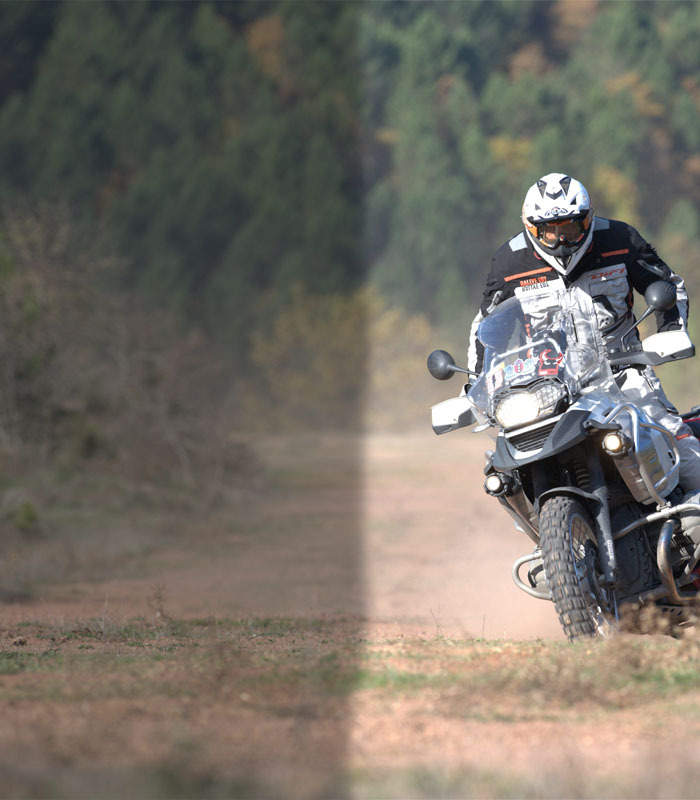 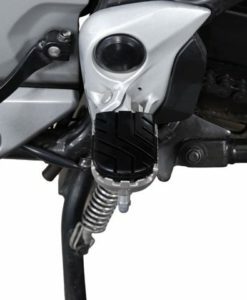 The very nature of dual sport riding requires a sure-footed and positive foot support, something strangely that most manufacturers still overlook in their standard foot peg offering. 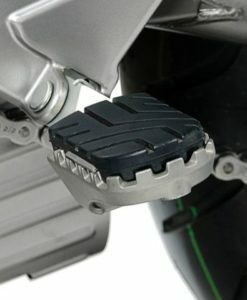 Thankfully there is an alternative to this dilemma which has recently been introduced by SW-Motech. 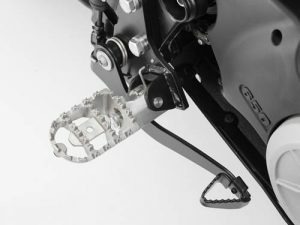 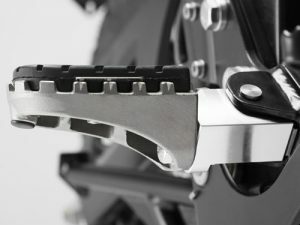 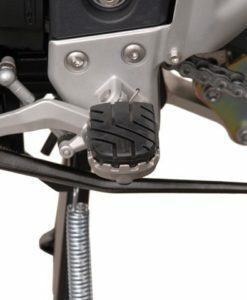 Manufactured in Germany from aerospace grade stainless steel, these footpegs offer a marked improvement for the adventure rider who seeks more flexibility and comfort. 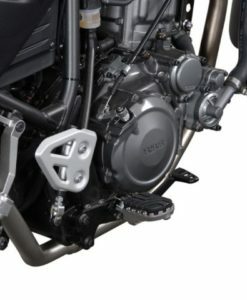 Attention to detail has not been spared, even the foot peg mount is CNC machined (to fit each individual model perfectly) , then heat treated. 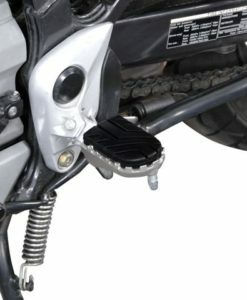 Attaches to original footrest mount -simple to install. 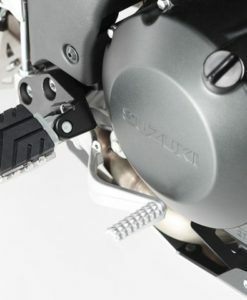 Full TÜV Rheinland safety certification. 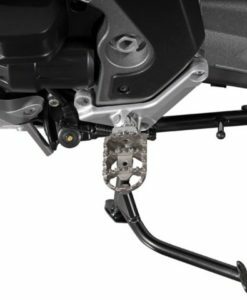 Founded in 1872 and headquartered in Cologne, Germany TÜV is a leading international independent test body which tests and certifies products for the benefit of customers and society. 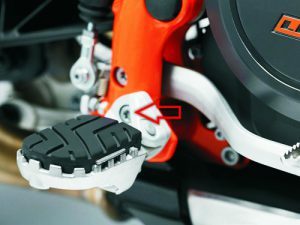 A TÜV certified product ensures that it meets or exceeds various criteria including safety,environmental,tolerances etc and to the best of our knowledge this is the only footpeg product on the market that has TÜV certification. 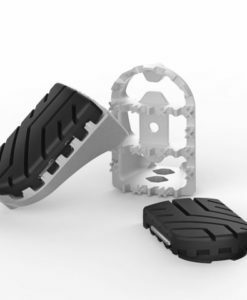 Removable rubber pad adds grip and comfort for Street Riding. 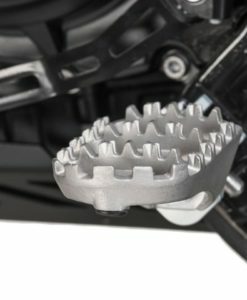 Large Teeth provide maximum grip in extreme situations. 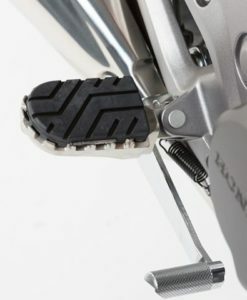 SW-Motech Height Adjustable Wide Foot Pegs are ergonomically adjustable with a high and low setting for a custom fit. 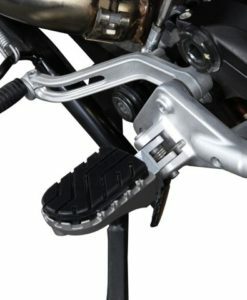 Height Adjustable Wide Foot Pegs by SW-Motech offer riders better stability both on and off- road. SW-Motech Height Adjustable Wide Foot Pegs enhance bike feel and control. 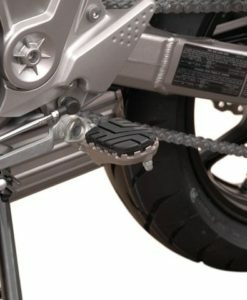 SW-Motech Height Adjustable Wide Foot Pegs. 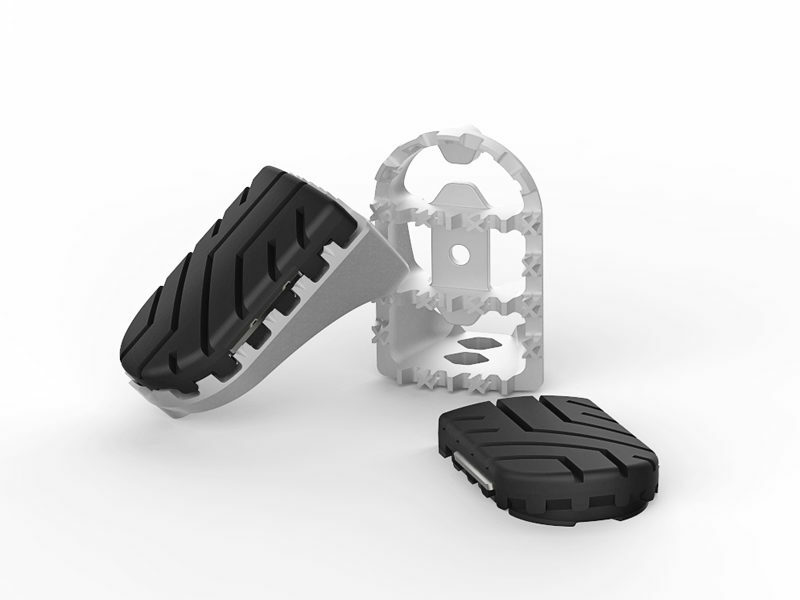 Supplied with removable rubber. 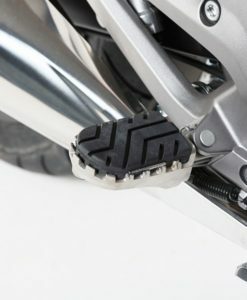 Textured surface on rubber pad provides superior traction and reduces vibration. 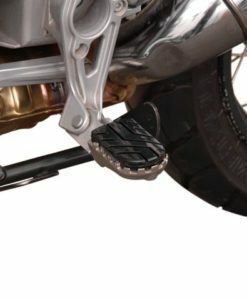 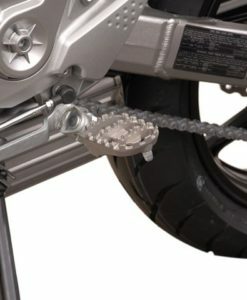 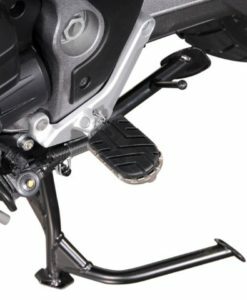 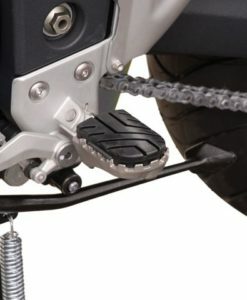 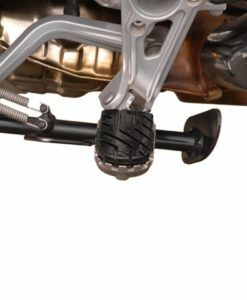 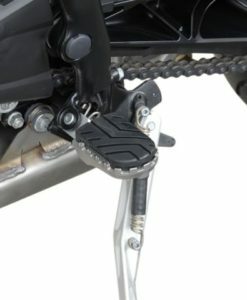 SW-MOTECH On-Road Off-Road Convertible Footpegs wide foot platform offers riders better stability both on and off- road. 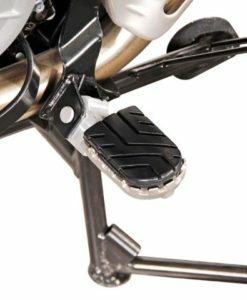 SW-MOTECH Convertible Footpegs wide foot platform offers riders better stability both on and off- road. 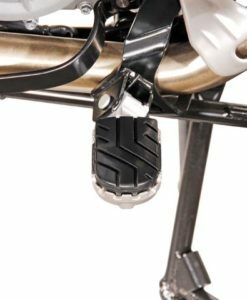 On-Road Off-Road Convertible Foot-pegs by SW-Motech are ergonomically adjustable with a high and low setting for a custom fit. 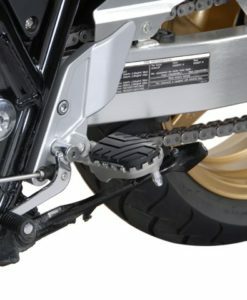 SW-MOTECH On-Road/Off-Road Foot-pegs allow you to replace your stock pegs with wider pegs at one of two heights. 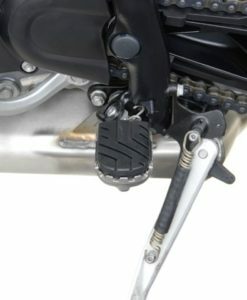 SW-MOTECH On-Road/Off-Road Footpegs allow you to replace your stock pegs with wider pegs at one of two heights. 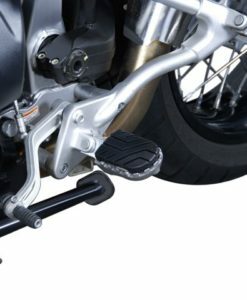 SW-MOTECH On-Road/Off-Road Footpegs offer riders better stability both on and off-road. 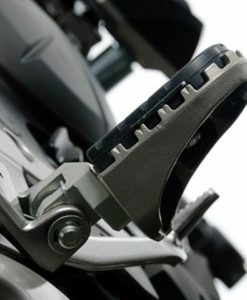 SW-Motech Wide Footpegs superior foothold with cleats that will not cut the soles of your boots. 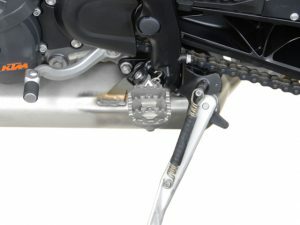 SW-Motech Wide Footpeg is adjustable in two different positions: original position and 15 mm lower. 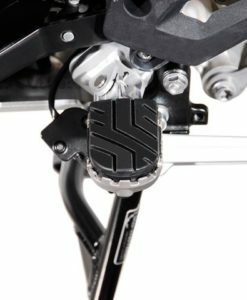 SW-Motech Wide Foot-peg Kits convertible design caters for both street and off-road riding. 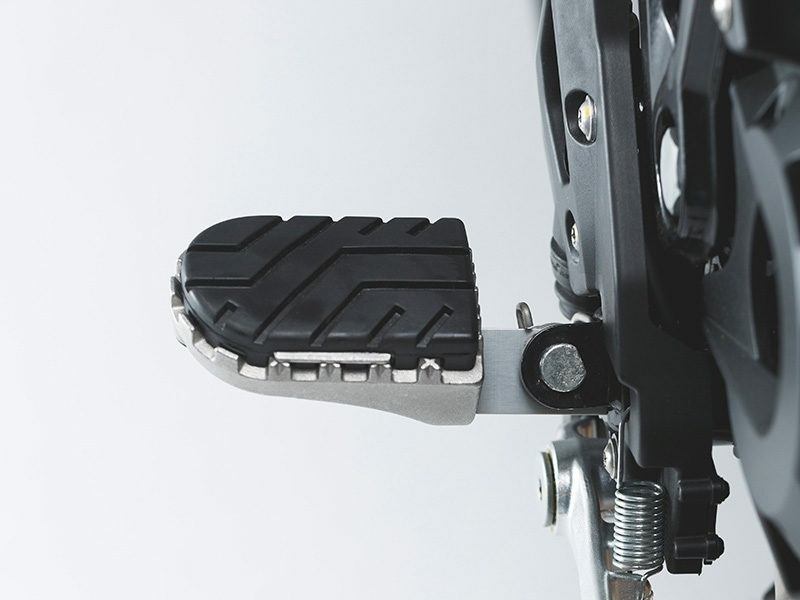 SW-Motech Wide Foot-peg can be lowered 15 mm from stock position to reduce center of gravity. 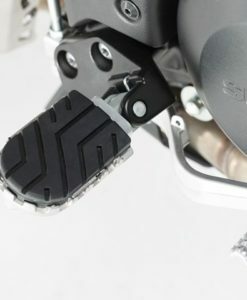 SW-Motech Wide Footpeg superior foothold with cleats that will not cut the soles of your boots. 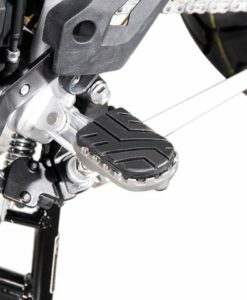 SW-Motech Wide Footpeg offers easier gear shifts and rear brake access with superior foothold with cleats that will not cut the soles of your boots.